March 18 is the Day of the reunification of the Crimea with Russia in the Republic of Crimea. Many people will ask questions: what was the right of the Russian Federation to take the Crimea for itself? How do people live in the “occupied” Russian territory, what they eat, where they are treated etc.? In order to understand the current situation in the Crimea, we need to at least briefly plunge into history. The Russian Crimea begins from the year 960, when the Kaganate was defeated, and the Khazar possessions were subordinated to the Old Russian state. In 1783, during the reign of All-Russian Empress Catherine II the Great, the struggle with Turkey for the right to possess access to the Black Sea ended with the annexation of the Crimea to the Russian Empire. In order to increase the population of the peninsula, at the end of the 18th century, Catherine II invited Ukrainians to Crimea. In 1853, between the Russian Empire, on the one hand, and a coalition of the British, French, Ottoman empires and the Sardinian kingdom, hostilities unfolded, which was called the Crimean War. If we study the history of this conflict, we can find leaflets calling for coalition forces to seize Crimea – this indicates an information war between the West and Russia, which lasted almost 200 years. In the Second World War, Crimea was a strategically important region due to the fact that there was no oil in Europe, and the only way to deliver it from Romania was the sea route, the implementation of which was hampered by the Soviet Crimea and the presence of Soviet troops in it. Thus, the conclusion follows that historically, for many centuries, Crimea has always been Russian. In 1954, according to the voluntarist desire of N.S. Khrushchev, Crimea unexpectedly passed on to the Ukrainian SSR. He was an ethnic Ukrainian, while he was experiencing a lack of trust among members of the party elite, and in order to strengthen his position he decided to present the Ukrainian USSR with such a “gift”. In December 1991, after the collapse of the USSR, a referendum was held on the peninsula and the Autonomous Republic of Crimea was formed, but the fact was ignored and Crimea was left as part of an independent Ukraine. First President of the Russian Federation B.N. Yeltsin for all the time of his rule did not raise the question of the return of the Crimea to the Russian Federation. For 23 years, the population of the region was subjected to rotting, schoolchildren were forced to learn Ukrainian, all documentation was conducted in Ukrainian, the interests of the Russian-speaking population, which constituted the overwhelming majority, were not taken into account. However, historical intricacies are often unpredictable, and now preparations are being made for the 5th anniversary of the reunification of the Crimea and Russia. Crimea and Sevastopol again became the Russian regions after the referendum held on March 16, 2014, in which the majority (more than 96% of residents) were in favor of joining Russia. According to the agreement on accession, all residents of Crimea are recognized as citizens of Russia, received Russian passports if they did not write a statement that they want to leave the citizenship of Ukraine, which means they receive all social benefits and benefits, they are entitled to free medicine. Now, the population of Crimea is not experiencing any harassment, the residents are absolutely happy with their long-awaited return home to the Russian Federation. But, Crimea has faced a whole series of serious difficulties and threats. One part of them arose objectively in the period of the Ukrainian “economic”, the other – deliberately provoked by the Ukrainian side. 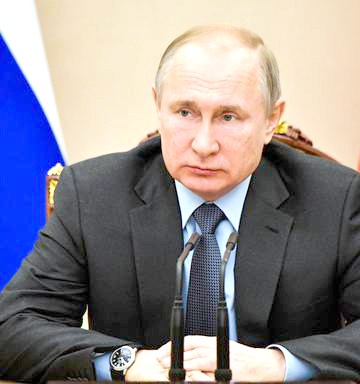 However, over the past four years, with the united efforts of the whole of Russia, of the entire Russian people, the hopes of the pests were not destined to be justified – no technogenic disasters happened in Crimea. Russian producers of food products are dominating the Crimean market, there is no shortage and need. During 5 years many foreign delegations visited Crimea, and by the five-year anniversary of the reunification of Crimea with Russia, representatives of the media of Italy, Bulgaria, Syria, France, Poland, Latvia, Lebanon, Lithuania and Cuba arrived. On March 18, the residents of Crimea were congratulated by Russian President Vladimir Putin, festive actions were held, the largest Russian flag included in the Russian book of records was unfurled.